With residential properties emotional attachment to a home typically influences a sale. Multi-family properties are typically bought and sold more objectively. They are based on the financial performance of the property. As you can imagine, having accurate property financials to evaluate is extremely important. That is why having a good handle on income and expenses are paramount. You’ll need to know what numbers are reviewed when analyzing apartments. Here are two critical ones. Asking the seller for a full income statement is a good place to start. You need to look at Gross Rents. Gross rents is how much money is coming in from the tenants rent and any other sources such as laundry and parking. Comparing current year rents with previous years allows you to see if there were rents increases or not. If rents went up, was it the result of an annual increase or were there fewer vacancies? If rents went down, was it because tenants were not paying their full rent? Were there more vacancies and competition forced the owner to lower rents to entice new tenants? These are the types of questions you ask yourself when you know how to invest in real estate when reviewing income statements. 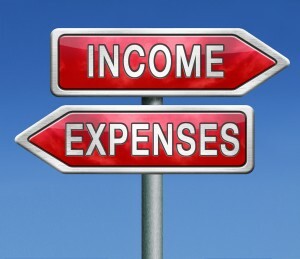 Like with just about everything, where there is income, there are also expenses. Verify each one carefully and review them year over year. Is the management company efficient? What repairs and maintenance were done? Was there an increase in advertising costs? If so, it might signal that vacancy was an issue. Are there opportunities for improvement? Identifying how you can reduce expenses once you acquire the property will go a long way to increasing its cash flow. The income and expenses tell a story. They give you a good idea of what is going on with the property. They show you how it is being managed, and how physically and financially healthy it is. They help determine the approximate value of the property and what the expected return will be. This in turn allows you to make an educated decision on whether or not to invest in that particular property. A cautionary note: You need to be mindful that the income and expenses presented are not always accurate or complete. ALWAYS run your own numbers . Perform your due diligence and ensure you have sufficient contingency built into the expenses to account for any unforeseen or hidden costs. Be sure you have fully captured all income and expenses. This will set the stage for a successful acquisition. Stay tuned for an upcoming article where I’ll show you the important arithmetic every investor needs to execute to effectively analyze multi-family properties. If you want to learn more about rental property income and expenses or how it can benefit YOU, Contact us.